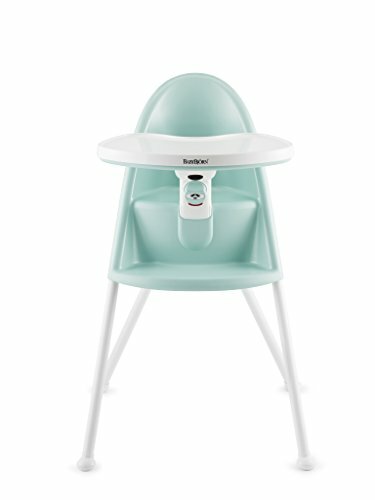 What High Chair Features Should I Consider? What Safety Features Should I Look Out For? 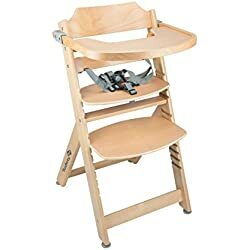 If you are buying a high chair for the second time, then you may well already know how important it is to buy the best high chair for your child. However, if you have never bought one before, then there may be a few things that you are not fully aware of. In our ultimate buyers guide we will be sharing all the information you need to know for when deciding which is the best model for your budget and needs. 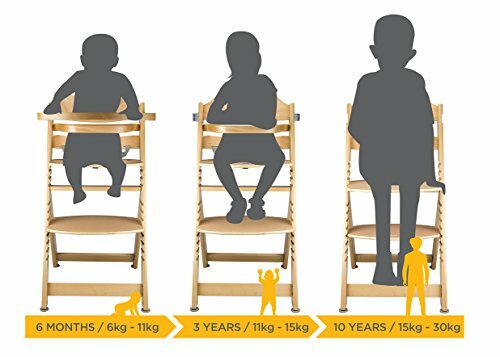 There was a time when baby high chairs were simply designed and deciding which one to buy for your child was a straight forward process. Todays models come in various designs and with many different features. In our high chair reviews we will be bringing you the top 10 best high chairs in Australia and explaining the features of each individual model. 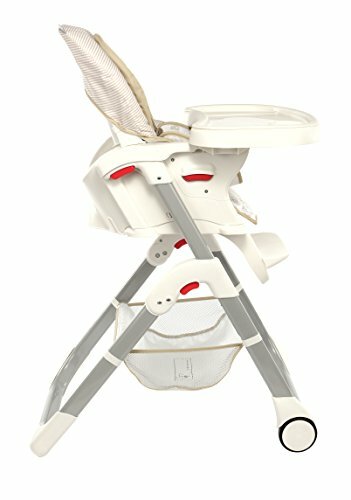 All of the high chairs featured in our reviews are from top brands and are some of the best sellers in Australia today. 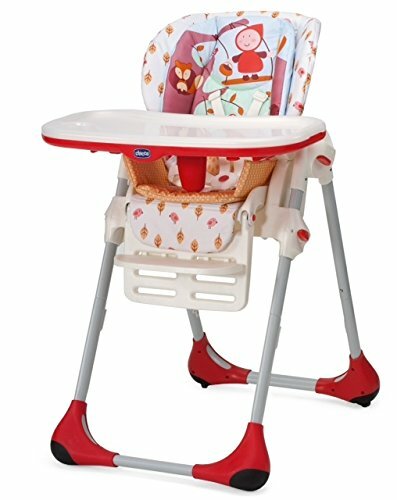 When buying a high chair there are a few things to consider, especially if you are looking for the best baby high chair. Buying the most expensive model doesn’t mean you are getting the best. 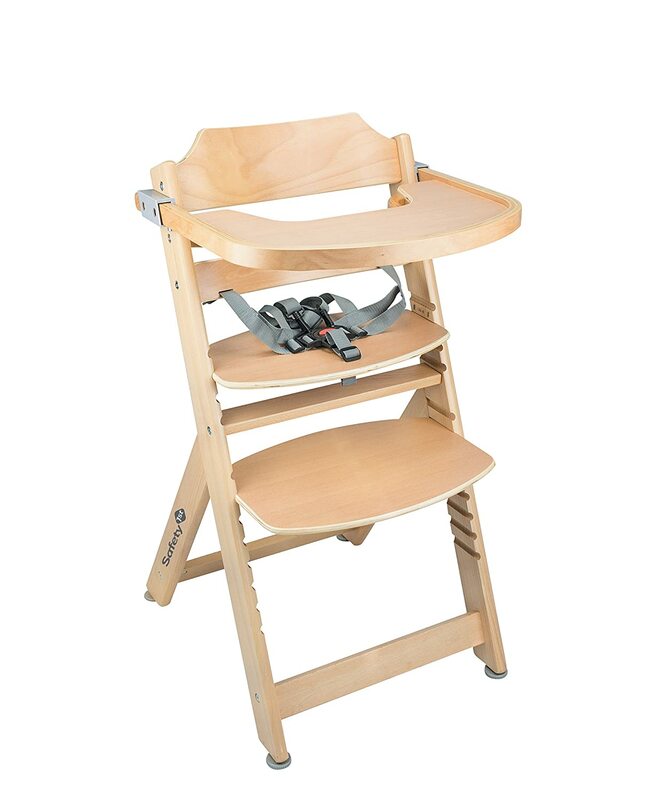 The best model of high chair is the one that is most suited to your needs. For example if you have a small kitchen you may want to invest in a folding high chair. Therefore it is no good buying what is considered the best model by everyone else, if it doesn’t suit your needs. Which leads us to the baby high chair features you should think about before buying. Everybody knows that your child should be securely strapped in when using a high chair. 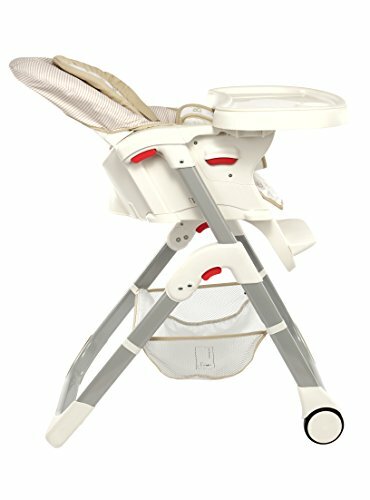 When choosing a baby high chair there are two types of harness that you will come across. These are a five-point harness and a three-point harness. A three-point harness will safely secure your child with straps around the waist and crotch area. A five-point harness will do the same but has the addition of shoulder straps. 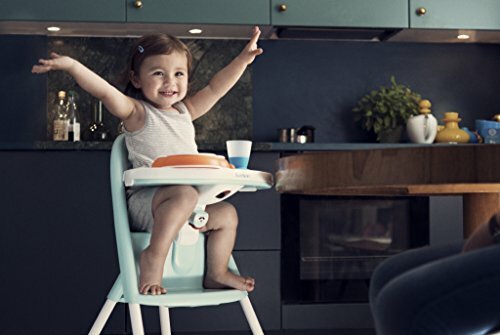 In terms of safety a five-point harness is considered the safest as it restricts movement which can at times lead to a high chair toppling over. 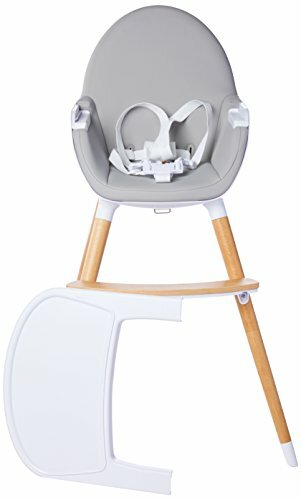 Most baby feeding chairs these days come with a lot of padding for your childs comfort. The problem with this is that padding adds a lot of crevices that can make cleaning an awful chore. The solution to this problem is to stay away from upholstery that is hand-wash only. The best option is to go for a high chair with a wipe-clean fabric or machine washable covers. The tray on a high chair is a very important feature. The bigger the tray is the better as it leads to less spillage on the floor. Most trays come with a built in cup holder. A feature to look out for is a removeable tray inser, these allow you to slide the feeding area tray out and wipe it down. 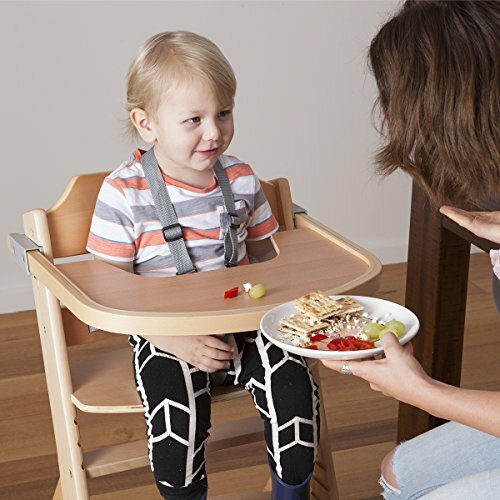 Another positive feature of removeable trays are that they allow you to push the high chair up to the dining table and have your child eating at the table. 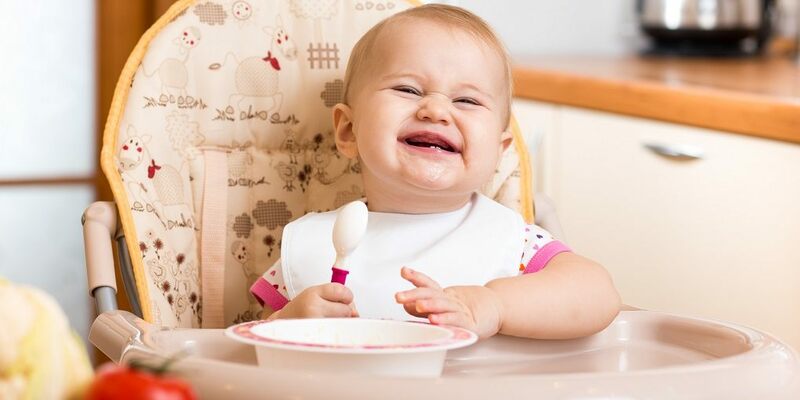 A highchair that is easy to adjust makes feeding your baby a far simpler task. In our reviews we have eliminated the models that have a harness that is too fidgety and/or tray that takes too much time to adjust. As we all know seconds matter when you have a screaming hungry baby. For those with limited space a folding high chair comes highly recommended. It is worth mentioning that not all folding high chairs are convenient to use. The best ones take minimal effort to fold and can stand independently, without the need to be propped up against a wall. It is also worth mentioning that some highchairs require you to remove the tray before folding them up. This can become quite annoying when you have to do this a few times a day. Taking into consideration that your child will be using its high chair a few times a day, it is safe to say that it will soon become dirty. Even after wiping it down after every feed there are always bits that go unnoticed. To keep your feeding chair as clean and as free from bacteria and germs as possible, it is best to go for a model that doesnt have too many seams and crevices in the upholstery. 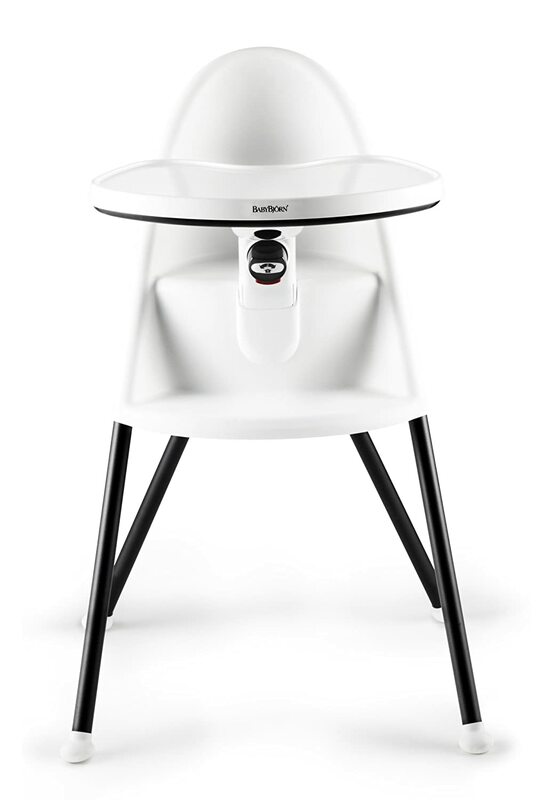 In addition a simple design like the Baby Bjorn high chair has less places for harmful germs and bacteria to breed. 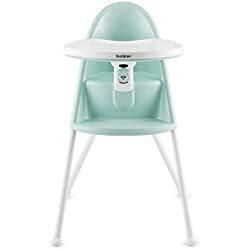 Baby Bjorn are one of the most popular brands for all sorts of baby products from bottle warmers and baby monitors to this high chair, they only make top quality products. As you can see the design is sleek and very minimalistic. The simple design means this is one of the best baby chairs for ease of cleaning. Weighing in at 5 Kg it is very portable, however, it doesn’t have a folding capability. 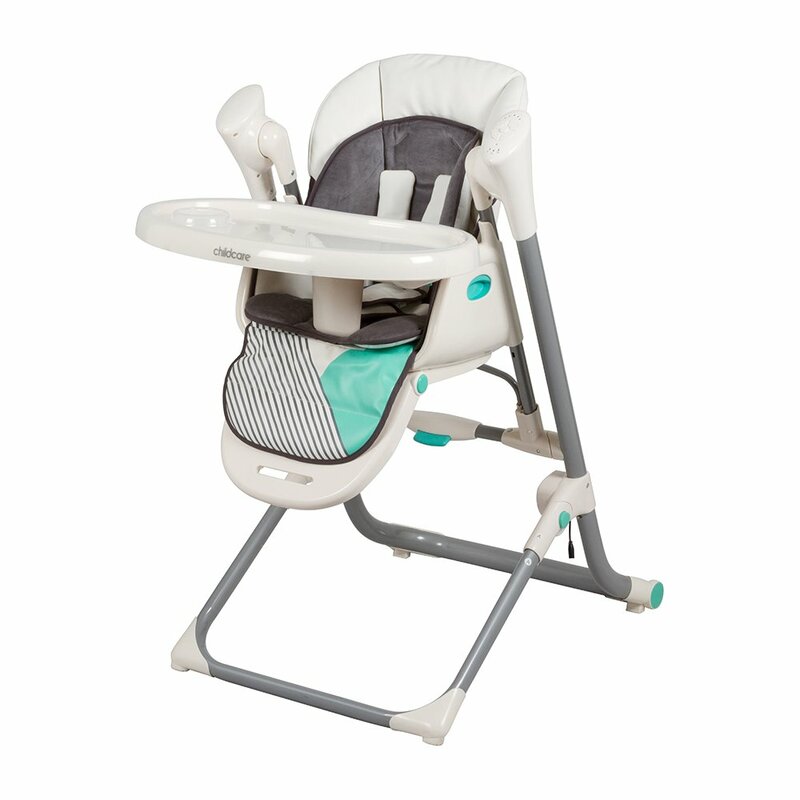 The high chair table opens up and when closed it will keep your little one securely seated even without a harness. Due to the wide stance this is a very sturdy baby feeding chair and considered to be one of the safest models available to buy. In addition the tray is removeable for ease of cleaning. 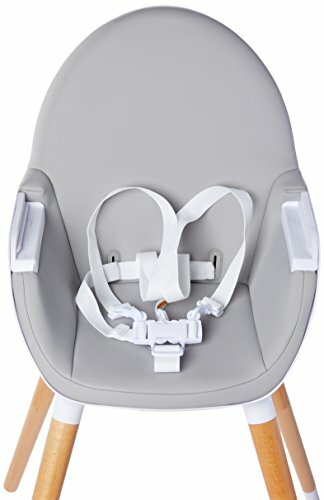 Another positive feature is the age range of the baby Bjorn high chair which can be used from six months old all the way up to three years old. 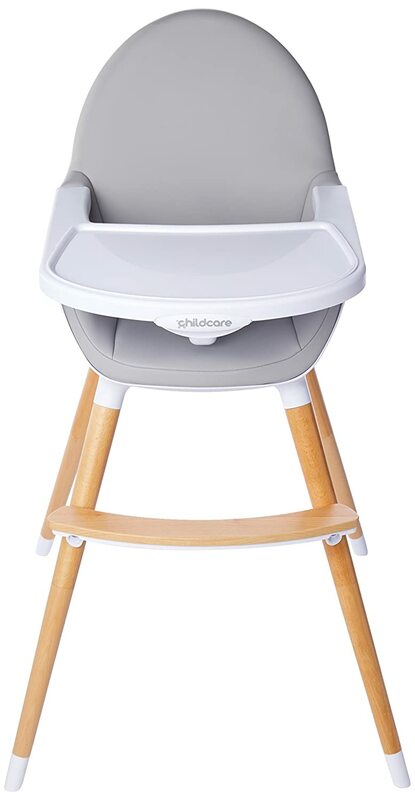 Simple in design yet very effective this is considered the best baby high chair in Australia. Graco are another one of the more trusted baby product brands. The benefit of choosing a well-known high chair brand is that you can have confidence that you are buying a high quality and well-designed product. That been said the Graco 3 in 1 is a highly versatile model that is designed to grow with your child and provides great value for money. 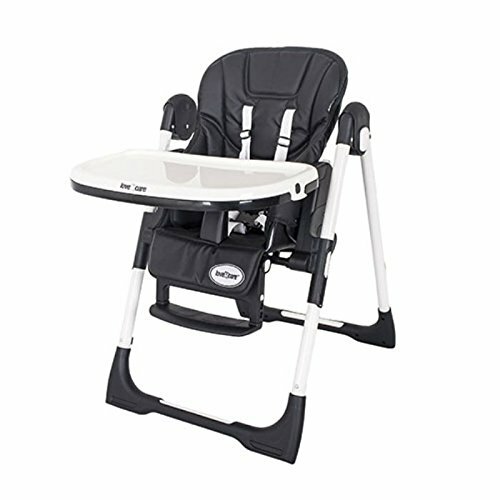 The Graco Duo Dinner 3 in 1 High Chair has a 5-position height adjustment that helps you position baby at the family table. 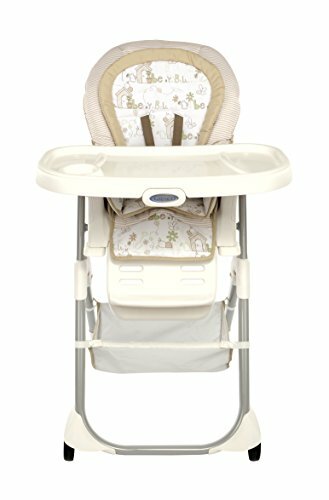 Its 3-position, one-hand adjustable reclining seat and infant head and body support help ensure your baby’s every meal is a comfortable one. The innovative frame is designed to be stored away and takes up very little space. The booster option allows you to adjust the height to five adjustments. In addition the 3 position one-hand reclining seat makes it easy to find a comfortable seating position. For safety there is the choice of a 3 point or 5 point harness, depending on your childs age. The pad is removable and wipes clean, and the tray is dishwasher safe, so you can easily clean this chair, without worrying about harmful germa and bacteria. 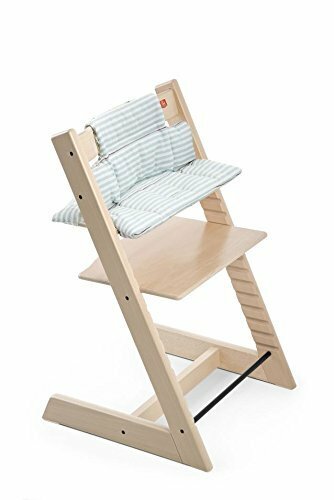 If you are on a budget then the Childcare Pod Timber high chair comes highly recommended. 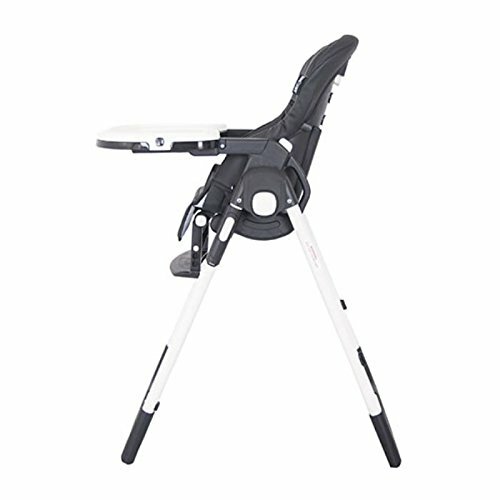 For half the price of a well-known brand you get a very modern looking and well designed baby feeding chair. As you can see from the image this doesn’t look like a cheap high chair, you may well be surprised at the price. Featuring timber legs this model is classic looking in design. In addition it meets all current safety standards and is very practical to use. Features include a removeable tray for easy cleaning and a removeable footrest for when it is no longer needed by your child. 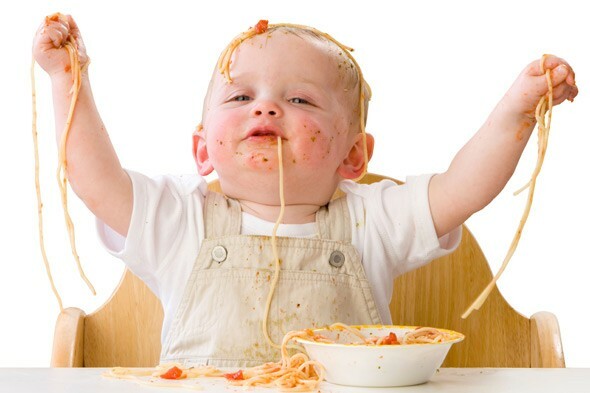 In terms of safety there is a five-point harness for safely securing your little one during mealtimes. Another positive feature is the option to convert it into a low positioned childs chair. Although Childcare are not the biggest brand in the world they have done a good job with this model. 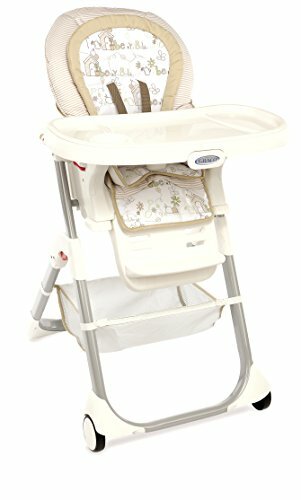 If you are on a budget this is considered by many to be one of the best cheap highchairs. 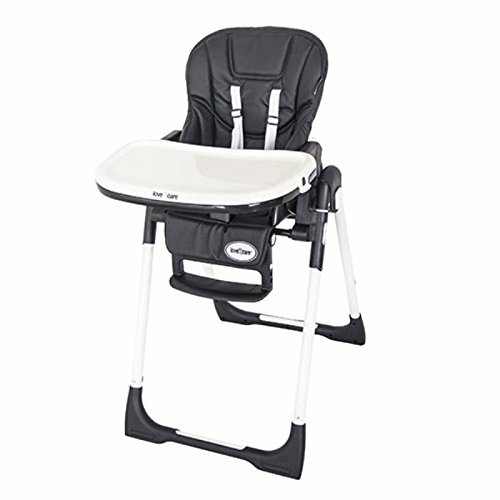 The Love N Care Montana high chair is one of the top rated high chairs for compactness and portability. Due to the folding design it can be stored away quite easily and it takes up little room which is an essential for many. The lightweight design and wheels make it easy to move around which is another positive. 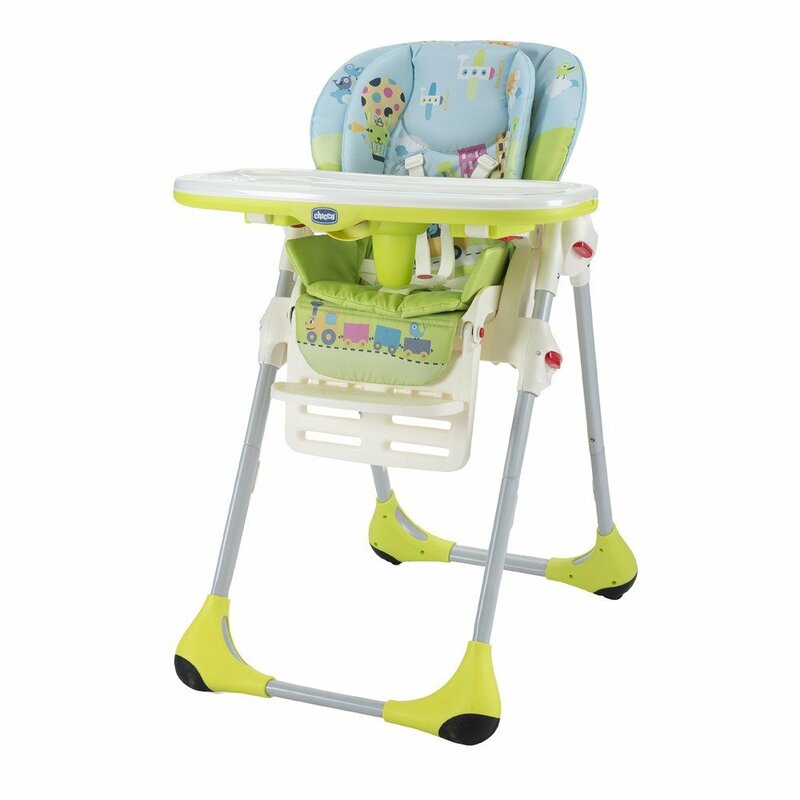 In total there are seven height adjustment levels and this model is recommended from six months, up to three years. The tray is easily removed and can be wiped down without any hassle. Furthermore the tray can be stored on the back of the chair when not in use. In terms of comfort it features a thickly padded seat which is also removeable for easy cleaning. For safety this model features a five-point harness which is considered by many to be the safest option. Although this is not a widely known brand the proof is in the pudding. 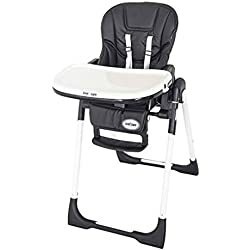 This is without doubt one of the top rated highchairs as it provides comfort, safety, great portability and ease of cleaning, all at an affordable price. If plastic isn’t your thing, then you may prefer the look of a wooden high chair. Investing in a wooden highchair can be a good long term investment. Due to the fact there is less parts it means there is less chance of something breaking. Furthermore wood doesn’t fade like plastic does when exposed to sunlight for too long. 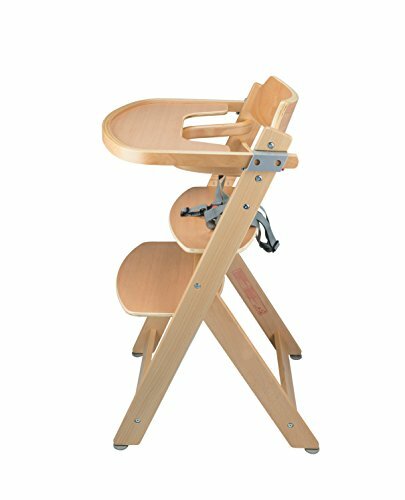 The Safety First Timber Infant Highchair is the first wooden style feeding chair in our reviews and a very good model it is too. Due to this model been suitable for a child up to 10 years old it is very solid in design and very sturdy. Another positive is that this is a 3 in 1 design making it very versatile. It can be used as a high chair with a tray, a highchair with a guard or as a stool for older children. Featuring a height adjustable seat and adjustable footrest it is easy to find the most comfortable position. For safety it comes with a 5-point harness which is easy enough to adjust. The tray is also removeable making it easy to clean. 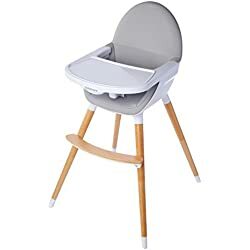 One thing i have found with wooden high chairs is that they are far easier to keep clean than a plastic model with layers of padding and plenty of crevices. 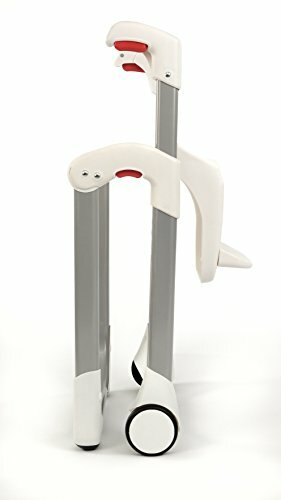 3 in 1 Highchair suited to grow with your child, from approx. 6 months to 10 years of age. 3 Stages: 1 Highchair with tray. 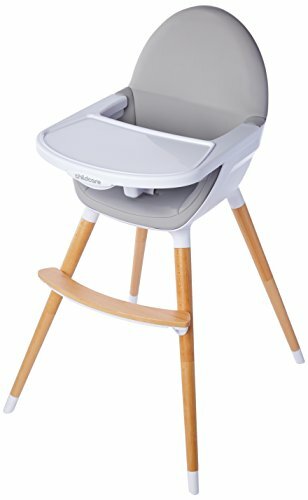 2 Highchair with guard. 3 Dining Chair or Stool with adjustable seat height for the growing child. Seat and Footrest are height adjustable. When it comes to baby and child products Chicco are one of the most recognised brands in the world. With this brand reputation comes the comfort in knowing that you are buying a high-quality product that will stand the test of time. 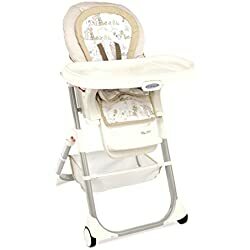 The Chicco Polly Ultrasoft High Chair is different from most high chairs and is said to be suitable for a 3 month old baby. Personally i wouldn’t put my three month old baby in a high chair and would stick to the 6 month recommendation that comes with most models. This is not to say that the Chicco Polly Ultrasoft isn’t safe, you could say that it caters for children who are able to sit up at a younger age. The maximum recommended age for this model is 3 years old. In terms of practicality it ticks all the right boxes. There is a removeable tray and it comes up lokking nice and clean after a quick wipe. When it comes to comfort there are a few reviews by parents that say their child doesn’t want to leave the high chair. This is a good sign that it is comfortable and with thick padding it seems like it will be.The chair wheels make it easy to move around and these lock into place when not been used. 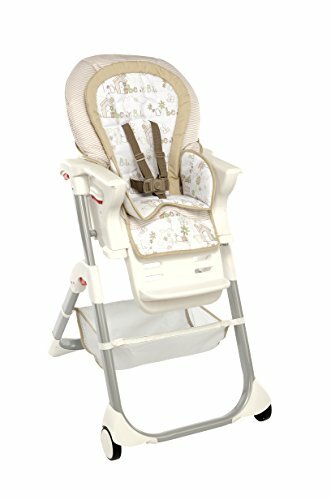 When it comes to value for money you would be hard pressed to find a deal as good as the Childcare Argent 2 in 1 Swing High Chair. In addition to been a very good high chair, it also doubles up as a swinging chair. The benefit of this is that it can be used for both meal times and playtime. In total there are six height adjustments, to compensate for any growth spurts. Most noteworthy is the adjustable tray which can be locked into place at three different levels. For comfort there is thick padding and an extra padded insert for additional comfort. For practicality the seat pad is removeable and can be easily cleaned. However, even with been cleaned regularly high chair seat pads can still look the worse for wear after a while. To help ease this problem the seat pad is reversible meaning you get two for the price of one. In our opinion this should be the standard for all models. 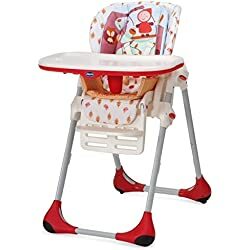 Another affordable option with some very positive attributes, if its value for money you are after then this baby high chair is well worth taking a look at. 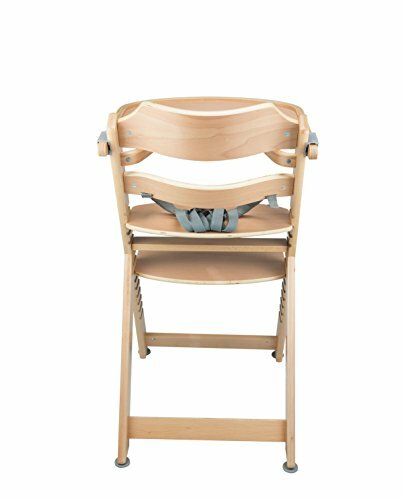 The Stokke Tripp Trapp High Chair is another wooden model and is very minimalistic in design. Due to the minimalistic design you may think that there isn’t much to say about it. However, the opposite is true as it has many comforts and adjustability options for your growing child. In addition it also comes in a wide range of colour options, meaning there should be a colour for most peoples decor. 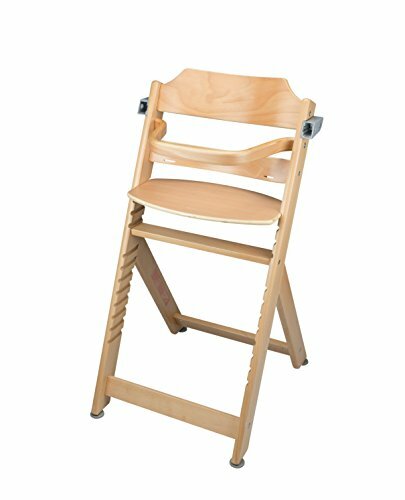 Due to this been a wooden style high-chair it is extremely strong and has a maximum user weight of 83Kg. It comes with an adjustable seat and footrest that both lock securely into place. For comfort there is a cushion set which is machine washable. 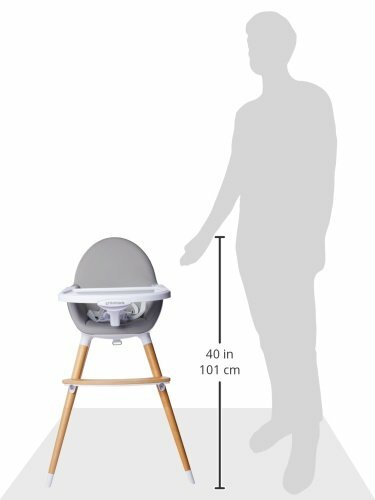 Overall, this feeding chair is ideal for a growing child, not just for dining, but also for sitting with family, playing, watching TV, and allowing your child to have a safe and secure space. Check out more of our essential baby and home product reviews below.